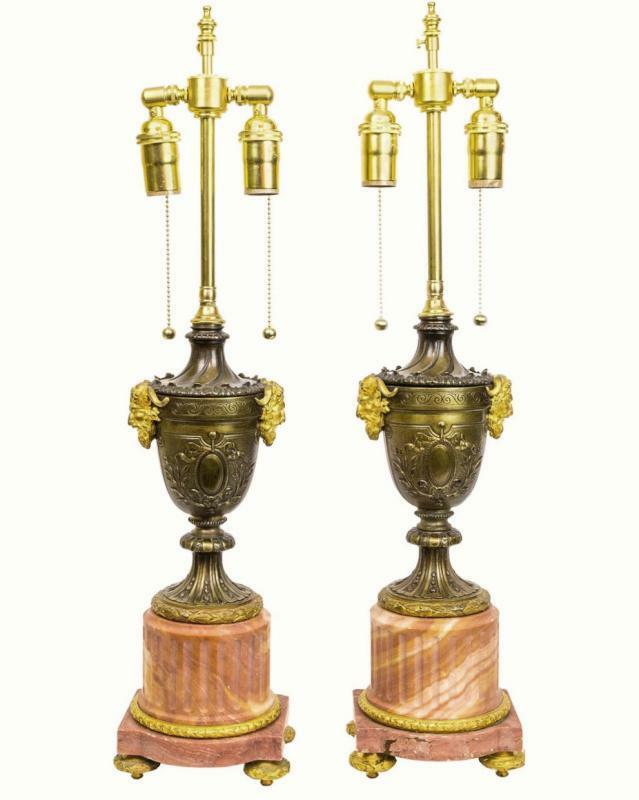 This pair of antique lamps in the French Louis XV style feature modern polished and lacquered brass lamp hardware and wiring. 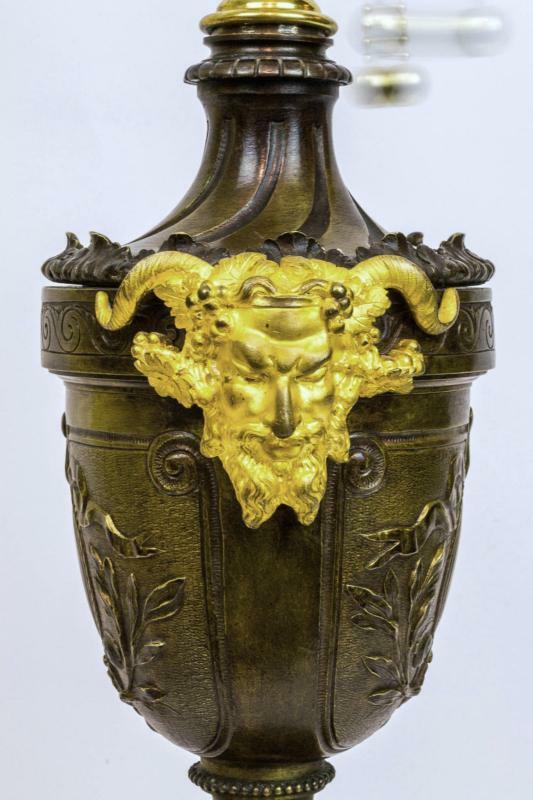 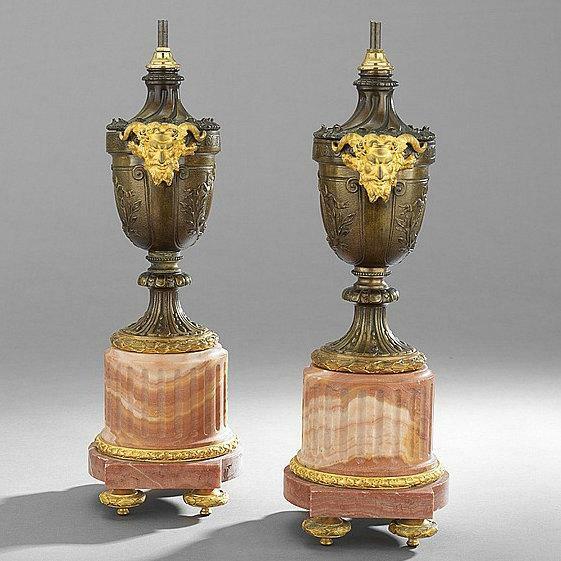 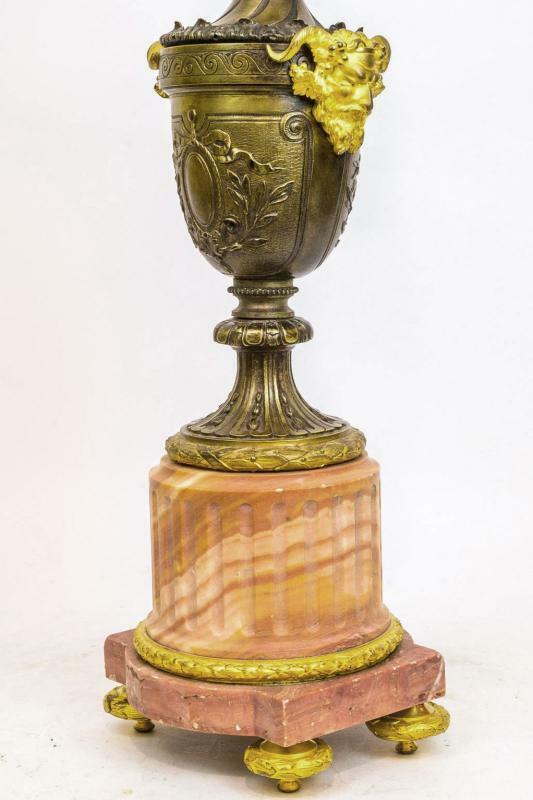 Their bronze urn forms are decorated with escutcheons, guilloche and laurel branches, and gilt bronze satyr masks, set upon Italian salmon colored rosso antico fluted marble pedestals wtih gilt bronze mounts and feet. 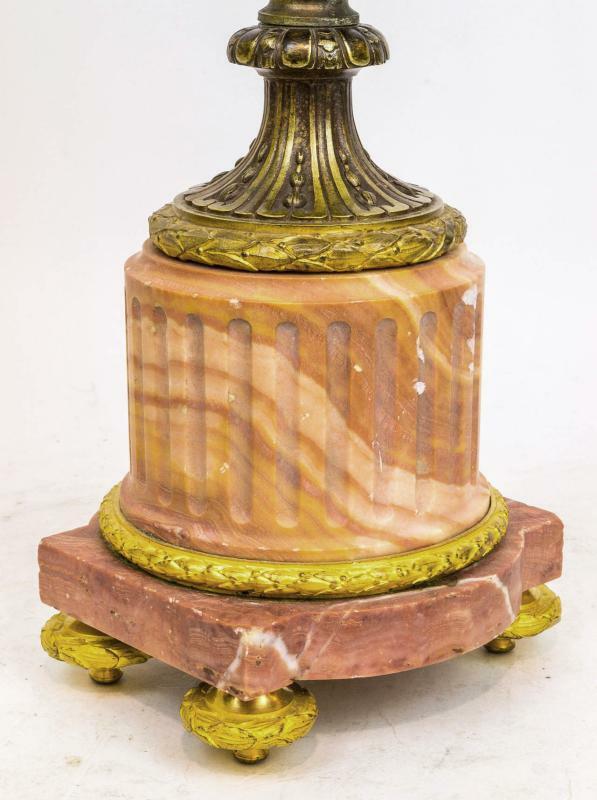 26.5 x 6.25 x 5.5 in; 67 x 16 x 14 cm. 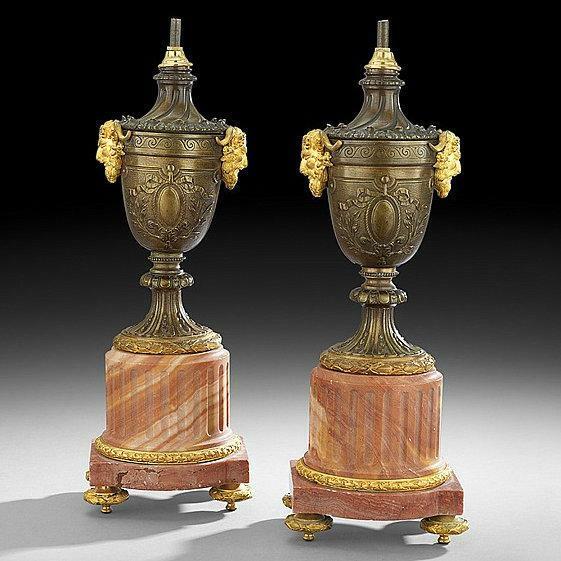 Items Similar To "Pair Antique French Louis XVI English Georgian Style Gilt Bronze ..."
68.5867 Pair of Black Marble Sphinxes.